Learn about the rich history of German brewing while you taste local beers. Your beer and gastronomic tour begins in the evening at Munich Central Station, where you’ll meet your friendly guide and set off to explore the city’s bustling nightlife and learn the time-honored techniques of German brewing. Before heading to the first tasting venue, you’ll take an exclusive private tour through the Beer and Oktoberfest Museum in one of Munich's most historic buildings (standing since 1347). 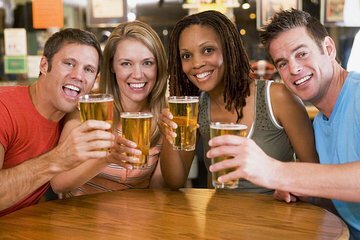 Beer is arguably the cultural symbol of Germany — a symbol that has been well protected throughout history, from the ancient tribal Hausfrauen brew-women to the revered Reinheitsgebot (Purity Law) of 1516. Learn about impassioned moments that have contributed to German beer’s continued tradition of excellence, then take your enhanced appreciation to the beer hall! With your guide, head to a traditional bavarian beer garden and world-famous Hofbräuhaus, where you'll sample brews and traditional German nibbles such as pretzels, spaetzle, roast pork, and Weisswurst smothered in sweet mustard. Emerge well-versed in all things beer and snacks – and on your way to becoming a beer-loving local! Your 3.5-hour tour ends at the Hofbräuhaus, where you can continue in the revelry at your leisure! Our tour guide was a last minute replacement and did a great job detailing the history of beer in Germany. Very enjoyable and engaging plus great food and beer! DANNI was the BEST guide we could ask for. Bubbly, lively, and funny. She was full of facts about the beer, food and places we visited. I highly recommend the tour and ask for Danni, you will have a blast! We had fun. Felt a little rushed but enjoyed our guide and the beer! It’s a good way to acclimate yourself to the city. 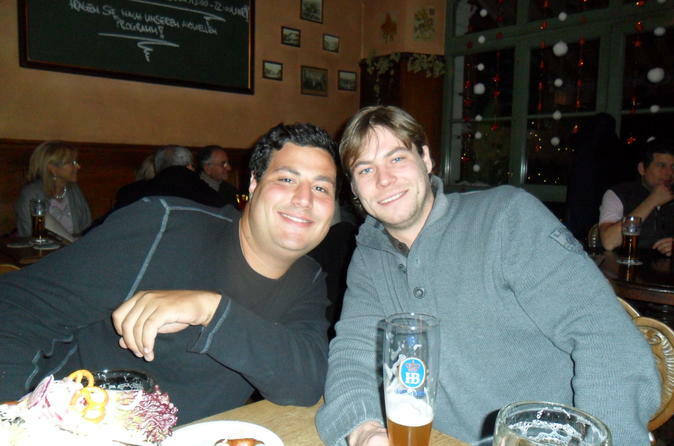 A really fun night around to several must see places around Munich. Our guide was hilarious and made the tour as fun as he possibly could. Definitely would do this again when I go back to Munich!! I highly recommend this tour. Jax is an exellent tour guide and is very knowledgeable. Great to hear about the historical background as well. Keith was an excellent guide. The tour, food and beer were all delightful. Super! Learned all about beer history.knowledgeable guide. Lots of samples and fun!A must do for first trip to Munich. Had a great time. Ian was fantastic, he really knew his stuff about beer. He really kept the tour group engaged with his fun and positive attitude. The guide was very honest and really gave us a true insight of the local history, but always keeping it interesting and fun. I recommend this tour, you'll enjoy it.